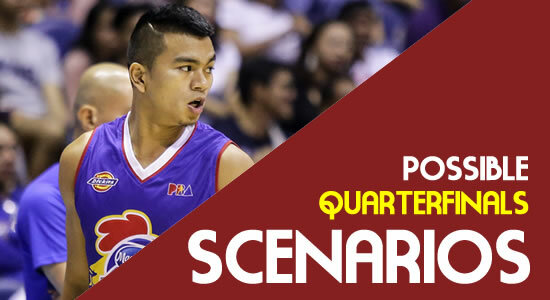 Here are the possible scenarios the Magnolia Hotshots Pambansang Manok is facing entering the quarterfinals of the 2018 PBA Governors' Cup. Please refer to the list below for more details. Magnolia and Alaska tied at 9-2, Magnolia will be top 1 and Alaska will be top 2. Magnolia, Alaska, Ginebra, Phoenix tied at 8-3. Therefore they will be the top 4 teams and will be having the twice-to-beat advantage against top 5, 6, 7, and 8 teams. Magnolia, Alaska, Ginebra, Blackwater tied at 8-3. Therefore they will be the top 4 teams and will be having the twice-to-beat advantage against top 5, 6, 7, and 8 teams. Magnolia, Phoenix, Blackwater. Therefore Ginebra/Alaska at 1/2, Magnolia #3, Phoenix #4, Blackwater #5. Please be noted that the computations above are all subjected for corrections. If you do find some error(s) please use the comment form below. Thank you!